This is a basic check list for any new website owner, publisher, or blogger to sell ads directly to advertisers. Before advertisers sign the contract, they will want to know who will be viewing their ads. In order to provide potential advertisers this information, you need to know who visits your site, reads your blog and uses your products. Demographic data with age, gender, income, and interests are useful to match ads' targeted audience with your visitors. This information can be obtained from user registration data, surveys, polls and your own interactions with visitors. Your blog and website might have a strong focus in a particular industry. In such cases, potential advertisers are easy to identify. For example, a travel blog should target airlines, hotels, destinations, attractions. Some websites need more scouting than others. General social networks and portals target a much broader audience. How much do your competitors charge for a similar campaign? How many visitors, pageviews, impressions do you get daily? How much does it cost you to design, develop, operate and maintain the website, or blog? How long is the advertising contract? Are they likely to continue their ads after the first campaign? Once you understand your audience, you can show off the value of your advertising program. The media kit should describe your website and its audience. Additionally, it should list all available ad placements and ad specifications (ad dimension, file size, animation length). It all begins with the first message, so do your own research and understand the advertiser's company, its products and target market. In your message, you should describe how advertising on your website will bring high quality visitors and customers to the advertiser. The message should not be from a long, standard template without any details about your website or benefits to this particular advertiser. The message should be personal, should describe your offer and should initiate an action within a specified time frame. Once you get a response from your potential advertiser, be sure to respond in a timely fashion. Yet, do not respond aggressively because it makes you look desperate. Your reply must address all questions and should provide all the requested information. Be sure to be polite and appreciative of the person's time. If you took your time to determine your ad rates ahead of time, you know your lower limit and can walk away if appropriate. A deal can be very flexible: standard rates with a standard contract, lower rates for a longer contract, lower rates for an exchange of services or partnership. 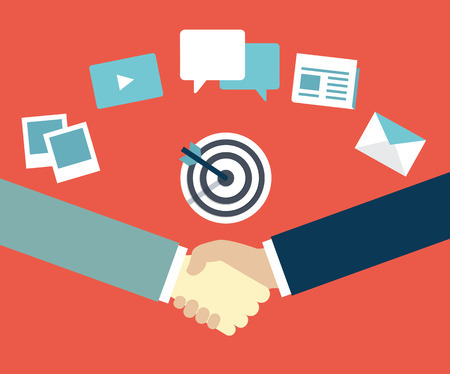 Negotiation should end in a win-win situation for you and your advertiser. Ideally, the new contract will allow both parties to meet most, if not all, their advertising goals. To avoid possible legal problems, make sure there is a written agreement between you and the advertiser. The agreement can be formal (signatures, stamps, approvals) or informal (email messages from both parties acknowledging the details, length, and amount involved). Español: Como encontrar anunciantes para su página web o blog?